ASK RALPH: If I file an extension can I delay paying tax? Question - Ralph - I have a pretty simple question for you. If I file an extension for my taxes this year, since I know I am probably going to owe the IRS, can I also extend the time to pay the tax? I am really short on money right now and I simply cannot afford to pay them what I expect I will probably owe. Answer: We get this question often this time of year. 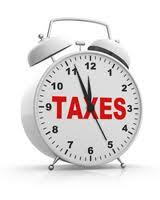 While you are able to file an extension to extend the time needed to file your tax return, your tax obligation is still due and payable by the tax deadline, which for the 2011 tax return season is April 17th. If you extend your return and file after the tax filing deadline the IRS will charge you both penalty for late payment and also interest on the amount you later report as due and payable. With all of this said, I still think it's wise to file an extension so you can avoid penalties for failure to file which can be great.